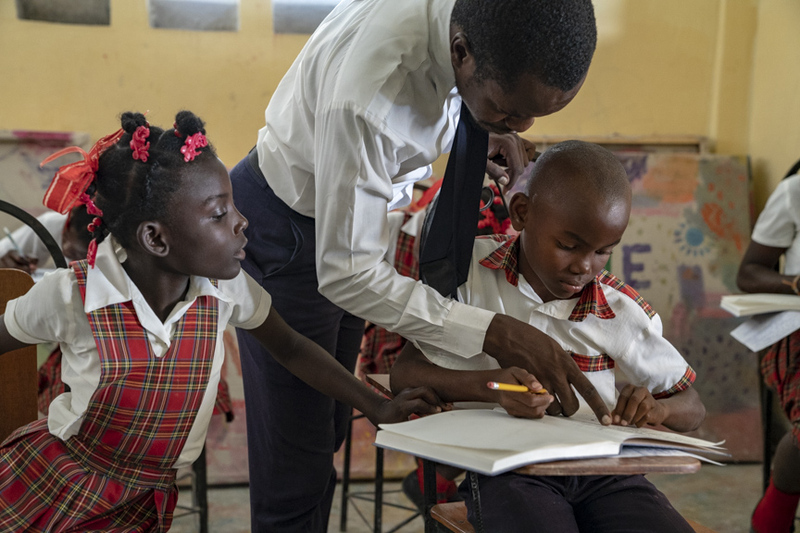 There’s a primary school in Canaan, Haiti named Grace school where 280 students are eager to learn but have limited facilities and no electricity. The 12 teachers have access to only a few outdated books. We feel that just bringing more books will not help them to improve their learning situation. Something that’s a step beyond is needed. Our goal is to bring the students of Grace school digital content from all the amazing resources we take for granted. We are partnering with Haiti Futur to provide a computer and projector system for the digital content and the solar power to run it. Help Canaan Kids Nurture their Passion for Learning!! We know there are many hardships that they endure, but if we can foster their passion for learning with modern technology, we can provide them with hope of a more promising future. Work with local vendors of solar power and services to install solar panels on the school roofs. This helps promote the local economy, while bringing sustainable power for the school and the community. Bring to Canaan digital educational resources such as (a) interactive projector screens, and (b) servers downloaded with latest digital content, such as Wikipedia and Khan Academy in French, using the solar power to provide electricity. End Date: The goal is to install solar panels and one technology platform by summer of 2019.